The blooms on my orchid have died and they are now very swollen. Can you tell me what this “thing” is on my orchid??? What exactly is happening to the old flowers? This is a great question, and you’re not the only orchid grower who has encountered something like this! What is happening with your orchid is natural, but it doesn’t happen to every orchid in bloom. 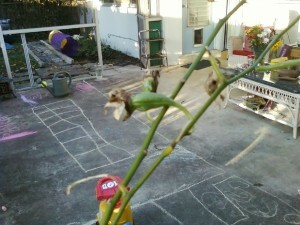 Judging from your photo, it appears that your orchid is growing outdoors.  This occurrence is definitely something that is more likely when you grow orchids outdoors—but it can still take place with orchids grown indoors as well.